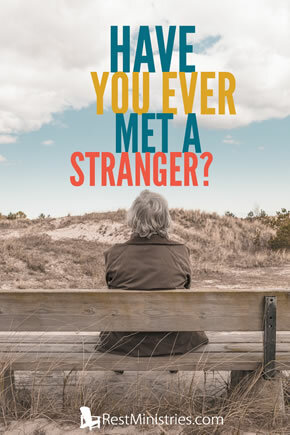 Have You Ever Met A Stranger? All around us we are given the opportunity to encourage a stranger. Diane shares. “Dear Friend, you are faithful in what you are doing for the brothers and sisters, even though they are strangers to you. They have told the church about your love” (3 John 1:5-6). Growing up in the South I heard the phrase, “I’ve never met a stranger” quite often; mostly by my elders. It was something that came automatic to me though. I remember making friends with a family at a campground one summer. They came every year, just as we did. Often I’d even stay with them on their house boat. Imagine! Can you imagine that? Or perhaps you would be meeting Jesus Himself; Do you remember Jesus’ followers, walking on the road to Emmaus? They didn’t recognize Jesus, He was a stranger, until He revealed himself (Luke 24:13-35). Those of us who deal with chronic illness often have more unique circumstances, so it may be more difficult for us to “entertain” strangers. But if we ask God to reveal how to entertain, I believe He will answer. For you never know if that one small moment, arranged by God, could be their chance to meet “The Perfect Stranger” –our Lord and Savor, Jesus Christ. May God bless you today. Prayer: Father we thank You, that You would allow us the gift of showing others the love You so freely give to us each day. Lord, we ask that as we go through our daily lives that You would grant us opportunities to “entertain” strangers in Your name. To be a reflection of You, even in illness and because of our illness. To show others that even when life is full of challenges, You make it possible to have joy! We praise You and give You all the glory, for Your answers to our prayers. In Jesus’ holy name. Amen. Diane Kalata, lives in Central Florida, she is blessed to have a wonderful husband, who is also her caregiver in illness, three grown children, one grand baby and more on the way! She is a cancer survivor, but continues to deal with chronic digestive and neuropathic issues. She loves art and writing. Her desire is to continually be an encouragement to others; looking daily for those “God opportunities” to share His love and truth with others. Has God ever given you an opportunity to “entertain” a stranger? Share your story with us today as an encouragement. 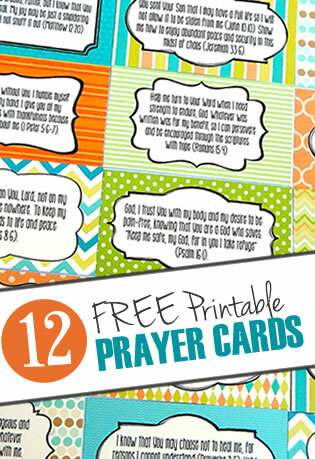 In what unique ways has God showed you that you can “entertain” despite your illness? Filed Under: Attitude, Devotionals, Finding Purpose, Loneliness, Love, What's New? 4 Responses to Have You Ever Met A Stranger? Those in “the South” must be a lot like our Queenslanders – who people say will talk to anyone. Not such a bad thing to be known for. The way we treat and interact with strangers is so important. Our Pastor often reminds us that “you may be the only Bible people read”. Maybe some don’t interact with many people now, but we can still make an effort with those we do – and “ask God to reveal how to entertain”, as you said. I know He’s full of lots of bright ideas! Diane – I had an initial reaction to your thoughts yet surely recognized the message in your content which led to more “thinking”!! First , I thought of an expression often heard across our USA about “southern hospitality” which must be prevalent in FL!! I remember childhood times when living on the east coast nearing the southern states and found that hospitality to be true. But I also thought of how each of us see so many doctors and those in the medical field – receptionists, therapists, nurses, and lab technicians to name a few. Usually we are seeing them when we are feeling at our weakest or at least very vulnerable as we are seeking answers and help. I try to be aware that they often may not get the smiles or “thank yous” they deserve. Often this is because those they see are hurting but what an opportunity to be one who “is a light” to them even when we ourselves are seeking the light of help. We still carry God’s light wherever we go. It occurred to me as I read your message that some of these are “strangers” – perhaps seen only once if a technician or one doing lab work – but surely ones in need of some care as we appreciate their care. Lynn, you’re so right. I often try to remember that truth in the non ending Dr / testing/ people we meet. I have tried to make a point of specifically telling a Dr when one of their staff has been exceptionally kind or compassionate. I think often they only hear complaints so I like to praise when ever I can.